About Scott's Pest Control - Providing full service pest control to Houston, Pearland, Alvin, Friendswood, Dickinson, Texas City, Santa Fe, Harris county, Galveston county, and Brazoria county. Owned and operated by Jim & Lauretta Massicott, both have been local residence for over 40 years. Since 1991 SCOTTS PEST CONTROL has been a full-service company that provides pest and termite control services to residential and commercial clients. At SCOTTS PEST CONTROL we are licensed and insured in pest and termite control. Our state-certified technicians are committed to customer service and satisfaction. 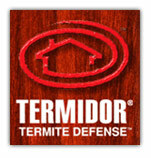 Our pest-control services are available on a monthly, every-other-month, quarterly or one-time basis. In the event a problem should arise between regular services, a simple phone call to our office will dispatch a technician to correct the situation. SCOTTS PEST CONTROL takes care of bugs, termites, bees, rodent control, and mosquito problems in the Houston, Friendswood, Alvin, Pearland, and Clear Lake-Bay Areas. We use state-of-the-art pest and mosquito control methods that are environmentally sensitive. Our philosophy is to use the proper product, in the least dosage necessary, to control your pest problem as fast as possible while maintaining a happy and healthy home for kids, pets, and adults. All of our work is scheduled by our office staff and distributed to our trained and certified technicians. SCOTTS PEST CONTROL employs state-certified pest and termite inspectors. We at SCOTTS PEST CONTROL really appreciate your business! Click here to grab a coupon.